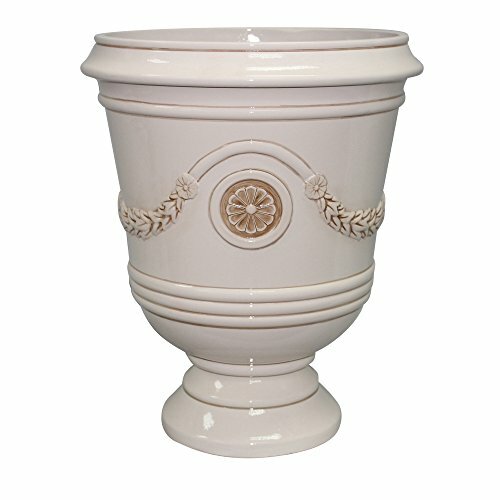 Gloss & elegance of this flower pot give Southern Patio porter Urn its mystique to gardens, poolside patios, & indoor gardening. With hand-crafted detail & a sleek finish, this planter pairs well with flower & vegetable arrangements alike. These plastic composite planters are a cost-efficient alternative to ceramic or stone planters & container gardens.